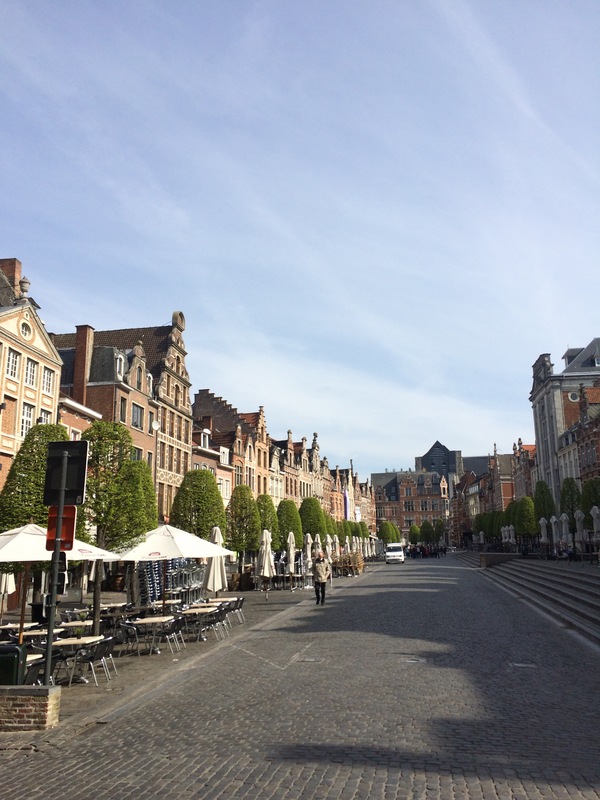 This cute university town is my first stop in my Belgian backpacking trip. 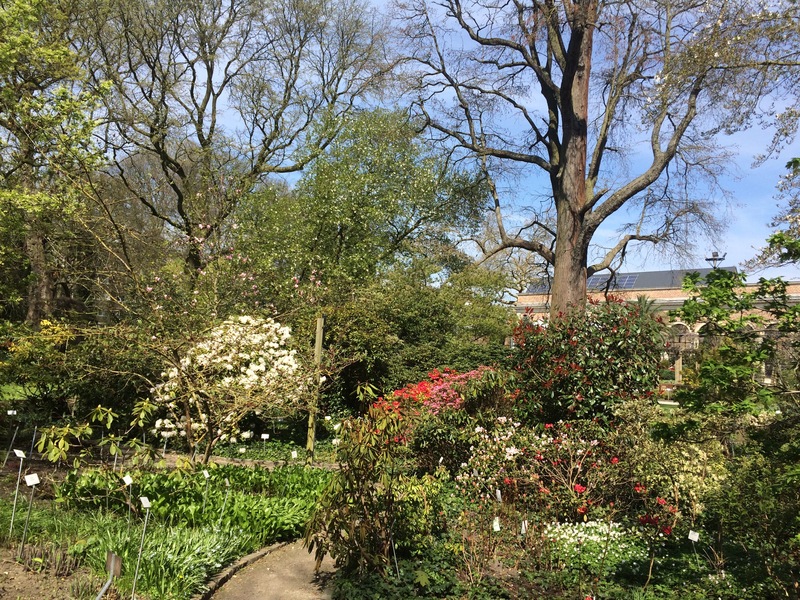 On a Sunday it’s very quiet and relaxed,but I don’t mind as the weather is nice and I can soak up the sun in the Botanical Garden of Leuven next to a Belgian beer. Leuven is a university town and you can notice this while walking around and seeing at every corner the bars and restaurants advertising their special student menus at low,student prices. Though no student on a Sunday! “The city is empty of students during weekend” – locals say – ” here,in Belgium students still like to go home for the weekend and spend time with their parents.” Nice of them I would say… I have to just imagine how crowded it gets during the week and the now almost empty Oude Markt probably is murmuring. I can still notice some movement around the city hall: a huge group of elderly tourists posing with the beautiful landmark. 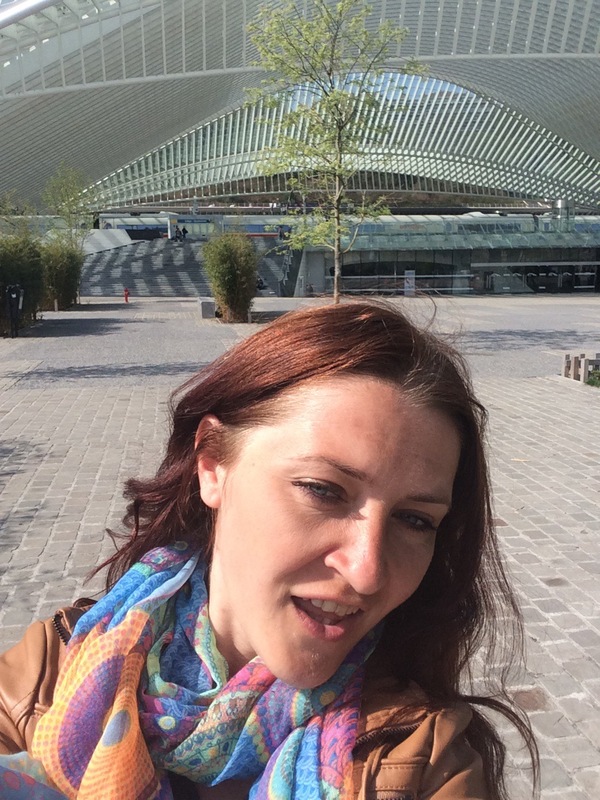 Conclusion: Edit come back on a weekday if you want to see the other face of Leuven! Before going to Brugge I watched the movie In Brugge and the town is so small that I didn’t need any direction to find the places presented in the movie. It’s loaded with tourists facing their cameras in every direction, because in every direction there is something pretty. 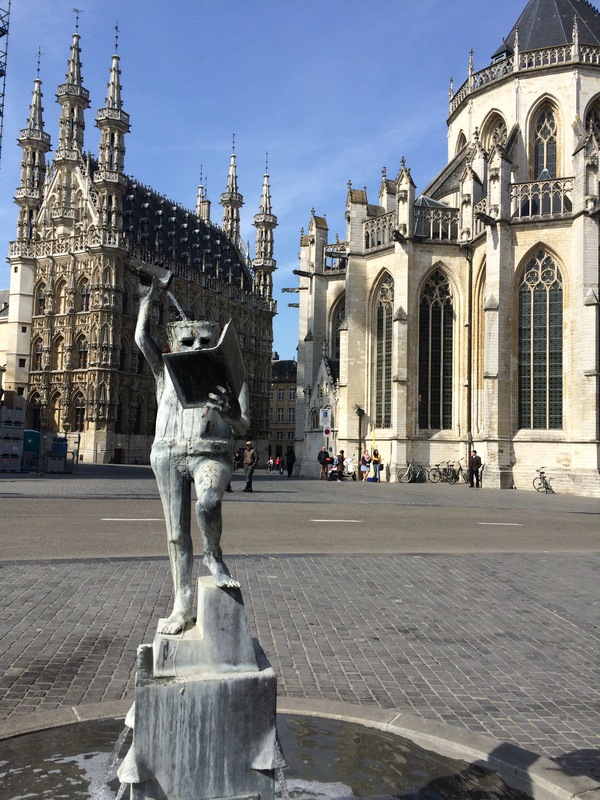 Brugge, although is very touristy, was my second favorite town in Belgium. 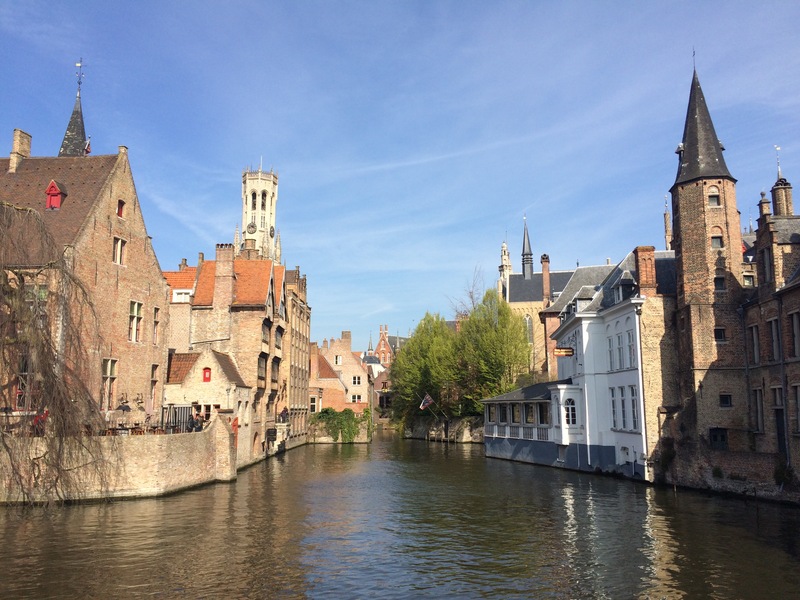 With it’s canals and those eye catching medieval architecture, Brugge steals your heart in an instant. 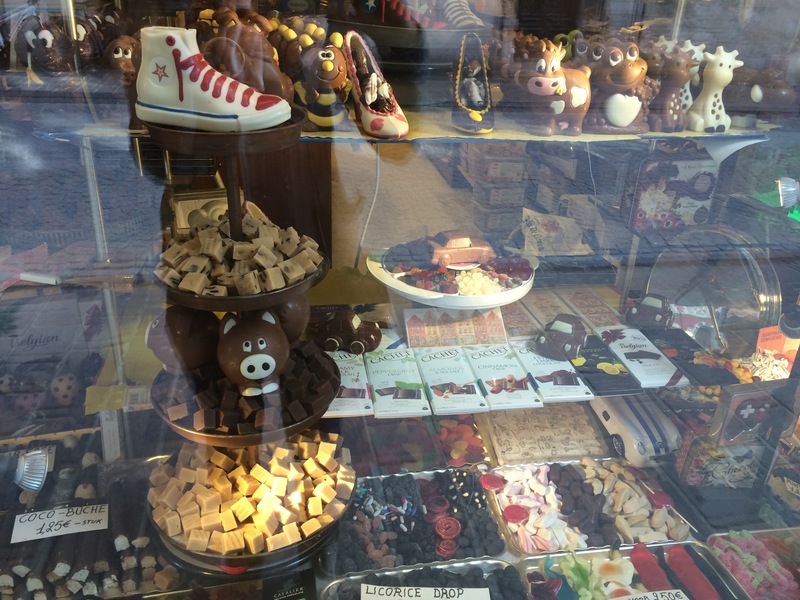 Walking around Brugge is more than relaxing, it’s a real cuddle to the soul and also a perfect ambiance to endulge in the delicious variety of Belgian chocolates. You can find any shape and flavor you desire, just at a hand stretch towards the chocolate and of course your wallet. From the second favorite I made my way to the first favorite. 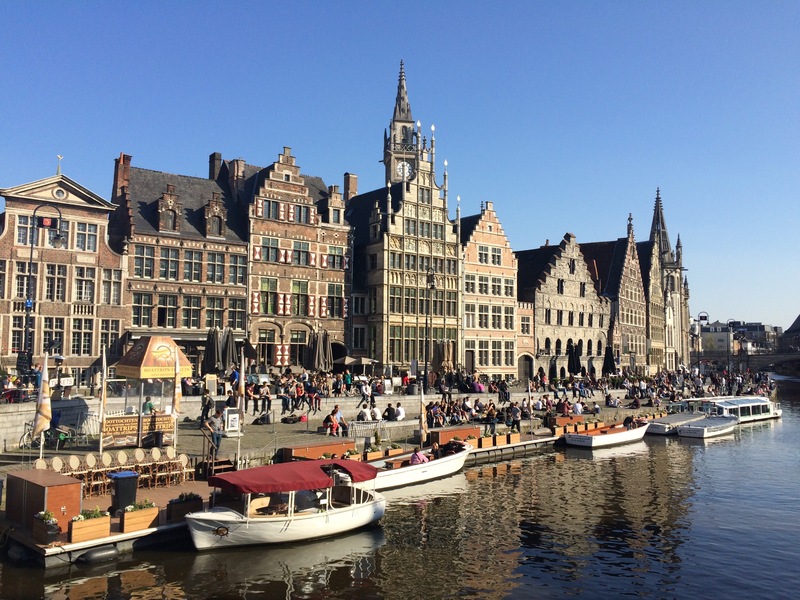 Ghent has the perfect vibe, the friendliest Belgians, the funniest Monday night out and I bet that many other – est-s. I didn’t expect so much from this town, I’m sure that also the company made a difference, but man,I really liked this place! You actually have the impression that you are wandering around a big city ’cause it’s active and full of energy. If you ask me to describe Ghent in one word, I’ll just say: alive. Let me add also: divers. 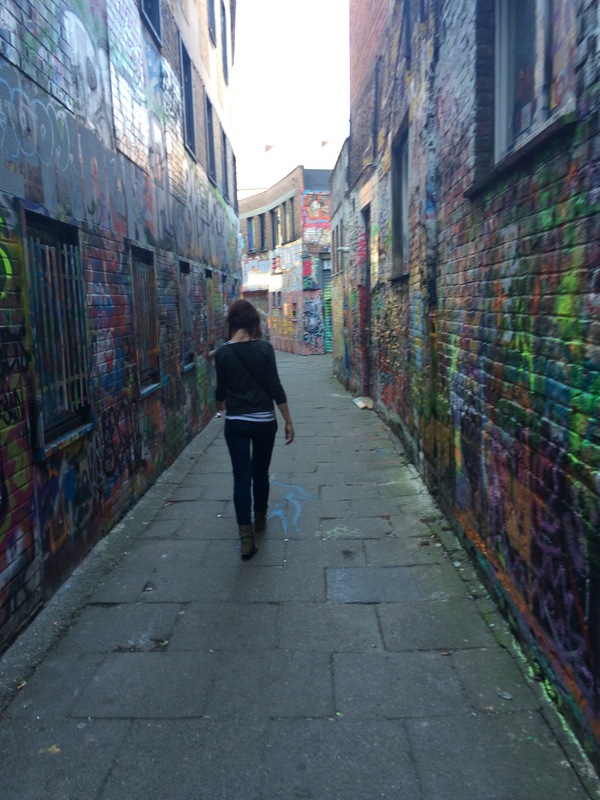 It has chill riverside, busy shopping street, medieval castle, artistic grafitti and my super awesome friend, Cindy. 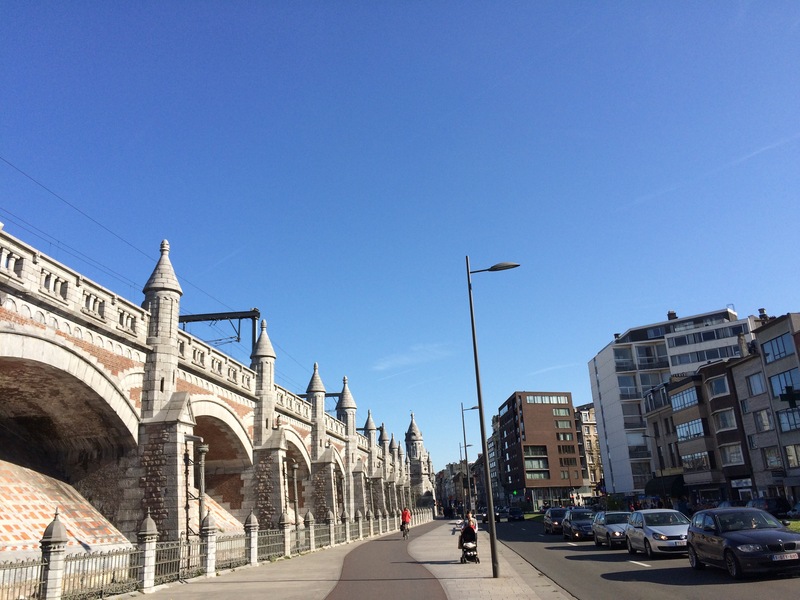 Biking in Belgium is a pretty popular way of getting around and Antwerp is a good place to do so. It’s a rather small town but with fairly enough to offer and a gorgeous train station. You would think that the pics above are from a cathedral,right? 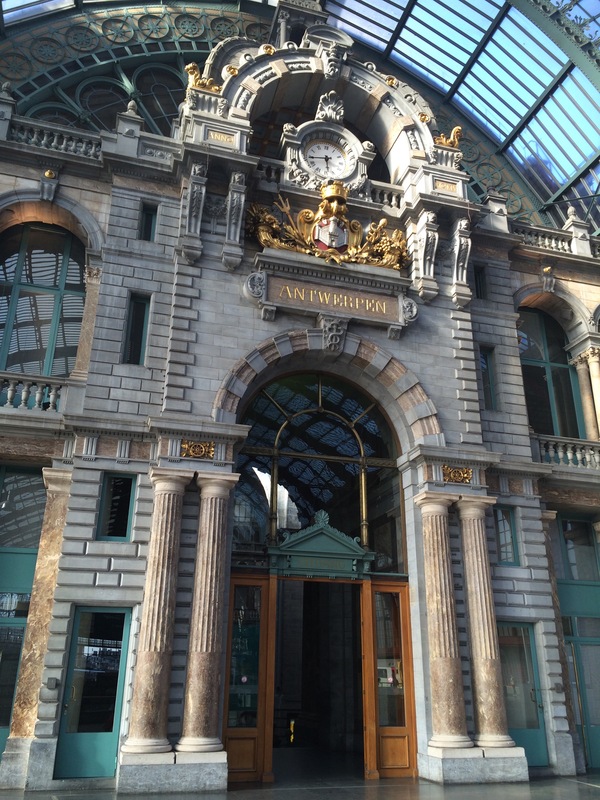 Well, that’s the main station in Antwerp. 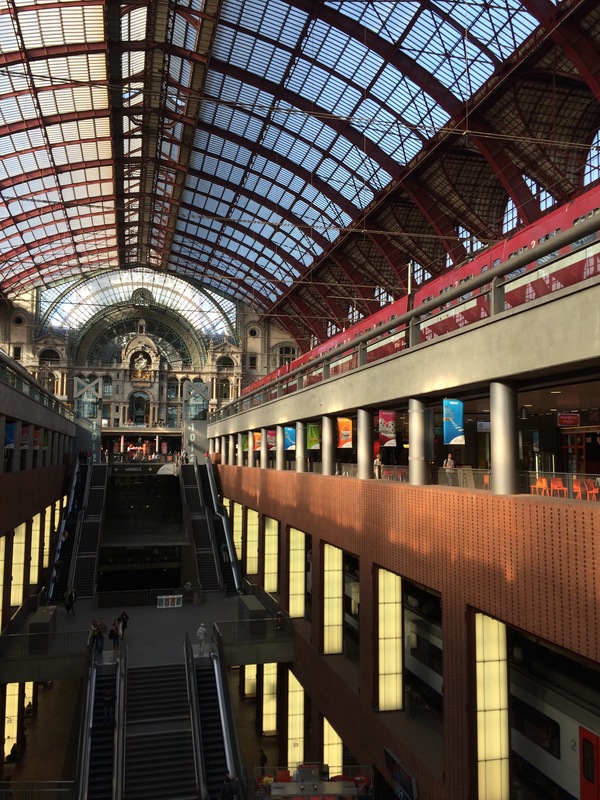 It’s ranked as the worlds most beautiful train station and no doubts about that. 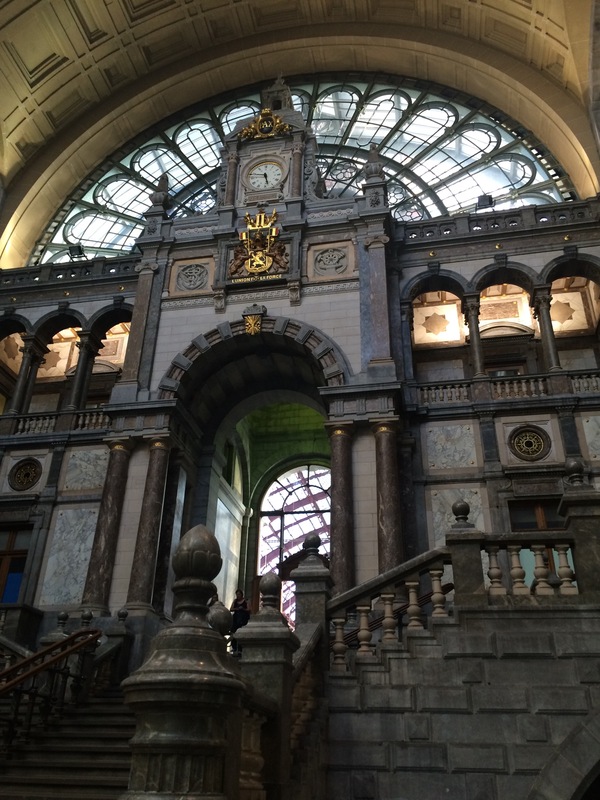 Not only the train station is beautiful in Antwerp. 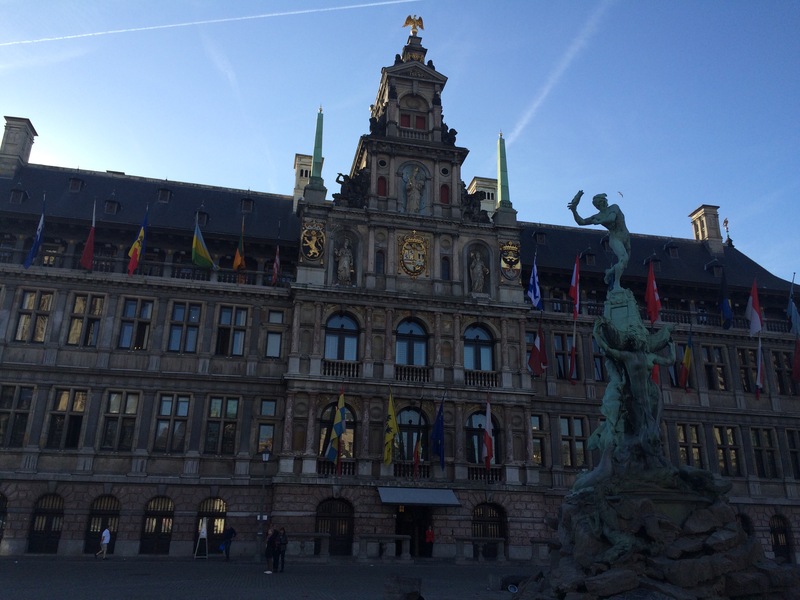 The city hall and various buildings in the central area worth checking out too. 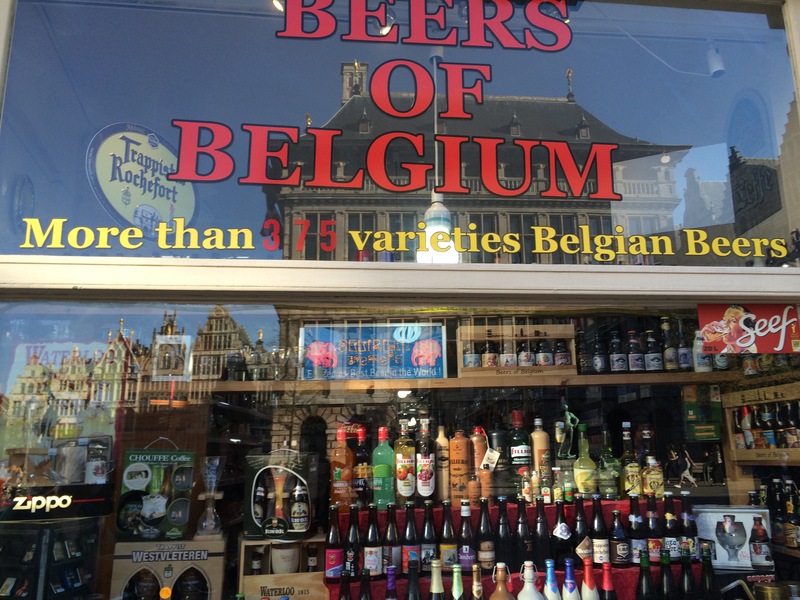 We are in the country of beer, so let’s pay a bit of attention to this detail and find out that Belgium has more than 375 types of beer. Basically you can treat yourself for a whole year every day with a different kind of beer and that still leaves you for New Year’s Eve with at least another 10 different flavores to try out. Cool, no? Arriving to the capital might sound exciting, but in fact it isn’t. 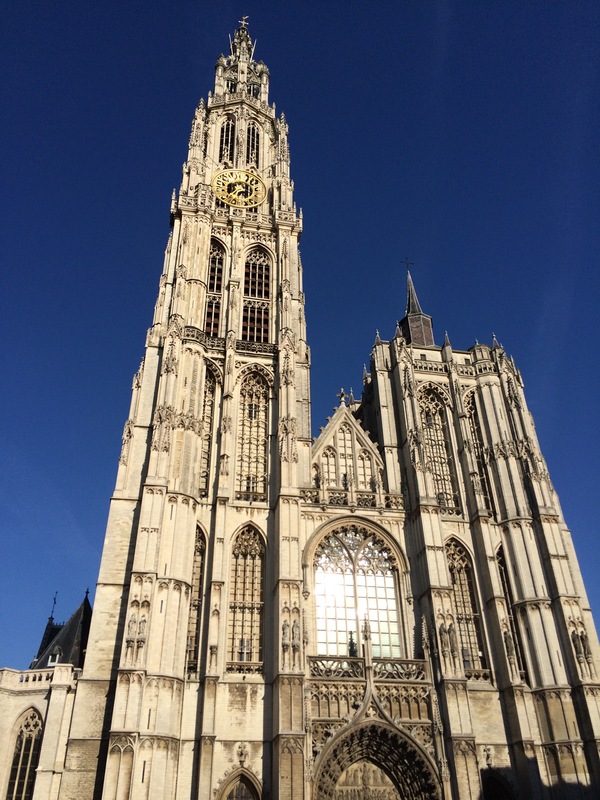 For me Brussels was rather disappointing and from far not the prettiest place in Belgium. 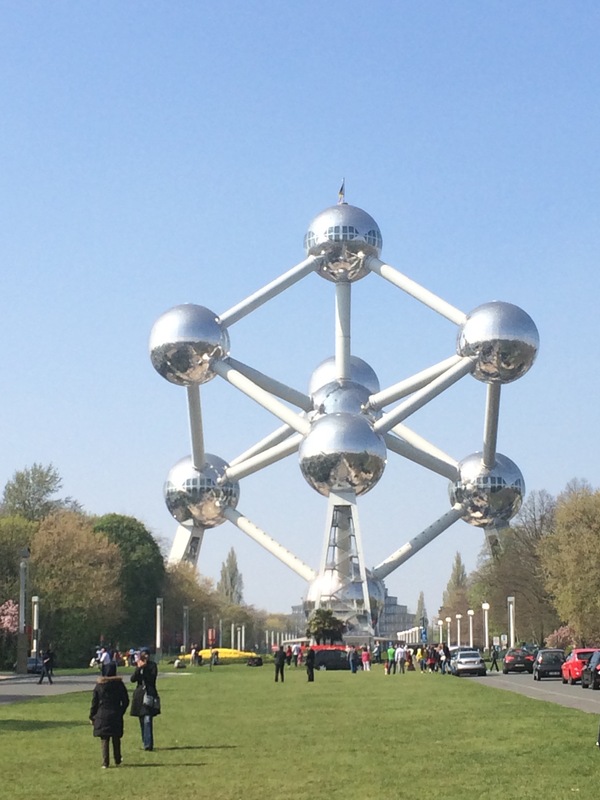 Such a pity that many tourists visit Brussels only and miss so much by not checking out the others. 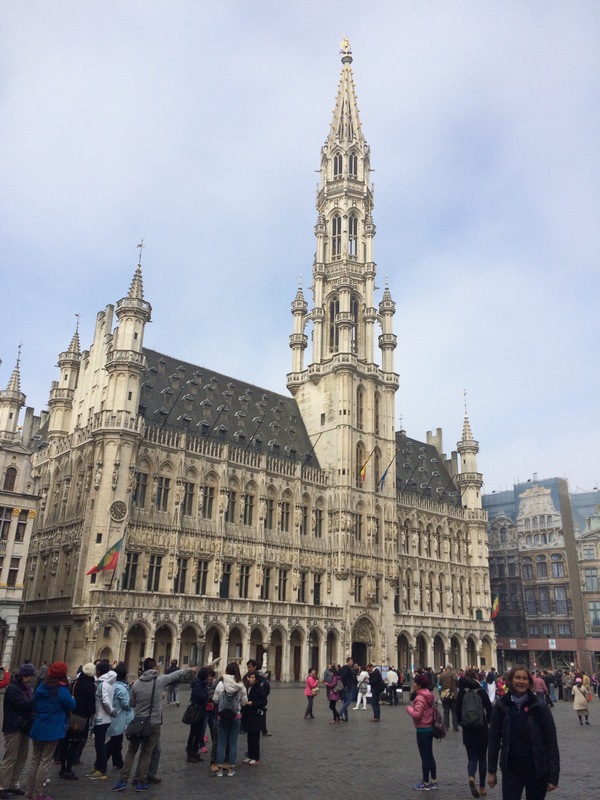 However, Brussels is a city as any other capital, with it’s multicultural mix and the best waffles in the world. Grand Place is not as grande ( = big) , but not too bad for hanging out , there are many shops, restaurants, bars and waffle vendors closeby. Mmmm, did I tell you that in Brussels you have the best waffles in the world? Right, I did, but it’s hard to focus when you remember that taste. Don’t – and I mean DON’T – skip that! Waffles are a must! 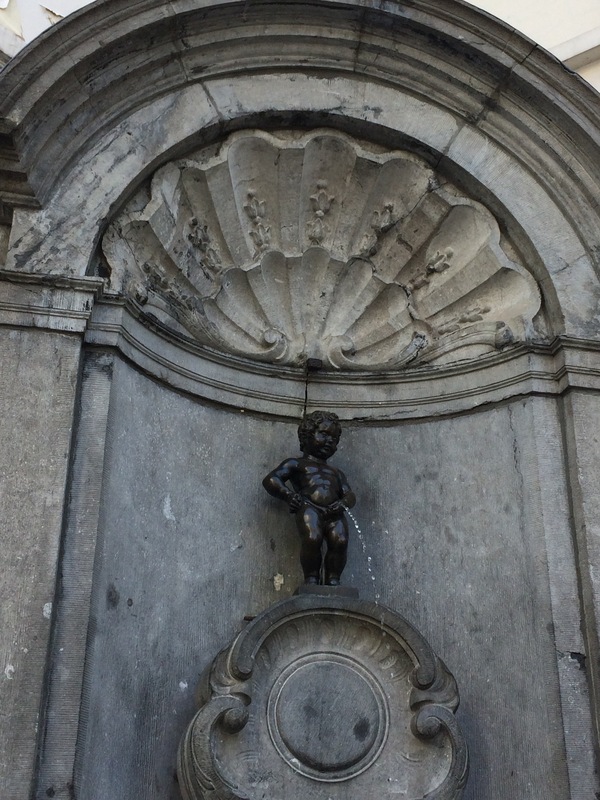 Ok,getting back to Grand Place – which is still not as exciting as waffles – it’s nice to walk around and make your way to the famous Mannekin Pis. 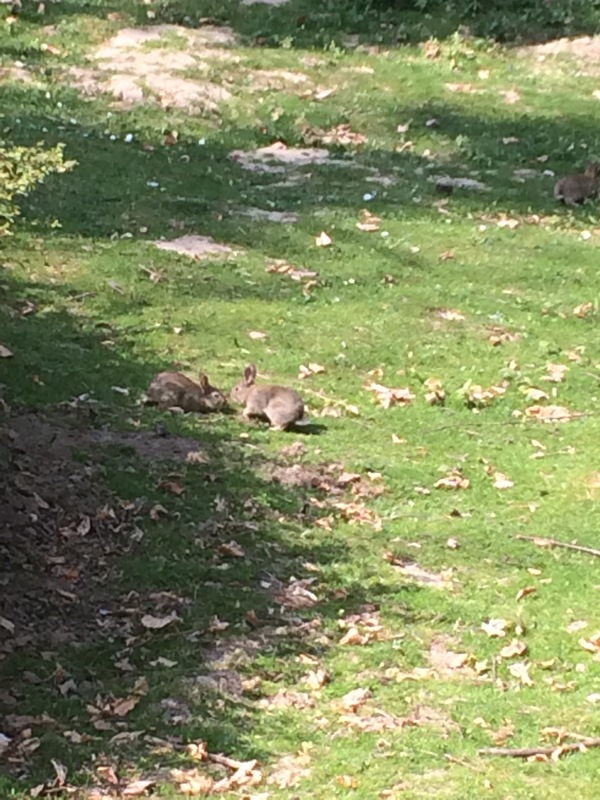 Of course, Atomium is nice to see, there’s also a cute park next to it with lots of rabbits jumping around freely in the grass. 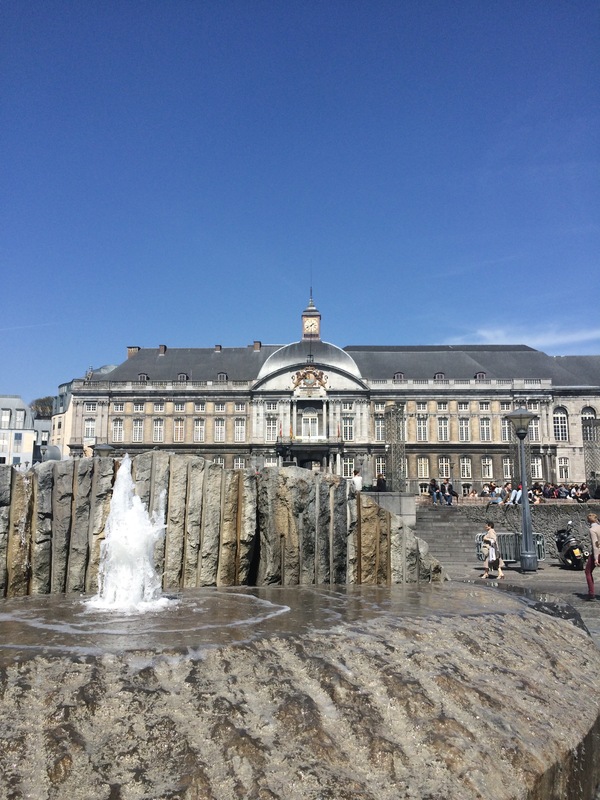 Laidback, small town, perfect for a daytrip from Brussels. Besides the center there’s not much to see or do, but it’s great for a day when the motto is : “take it easy “. For church lovers there are a few to check out, as I had enough time I walked in a few and were quite nice, all just a few steps from each other. 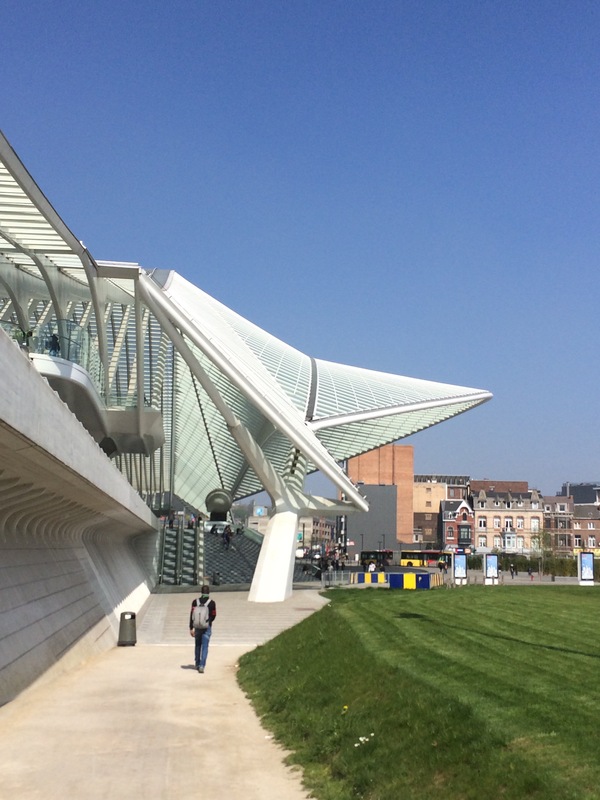 The Liège Guillemins train station is another masterpiece Belgians are proud of, being also in the top 12 most beautiful train stations in the world. In order to put an original print on the whole trip I ended it in a Romanian restaurant in Liège. No matter where I am, for me the best food still comes from home, so I’m sorry Belgium, you might have the best beer and waffles and fries, but my yummi ciorba de perisoare doesn’t have any comparison grade. 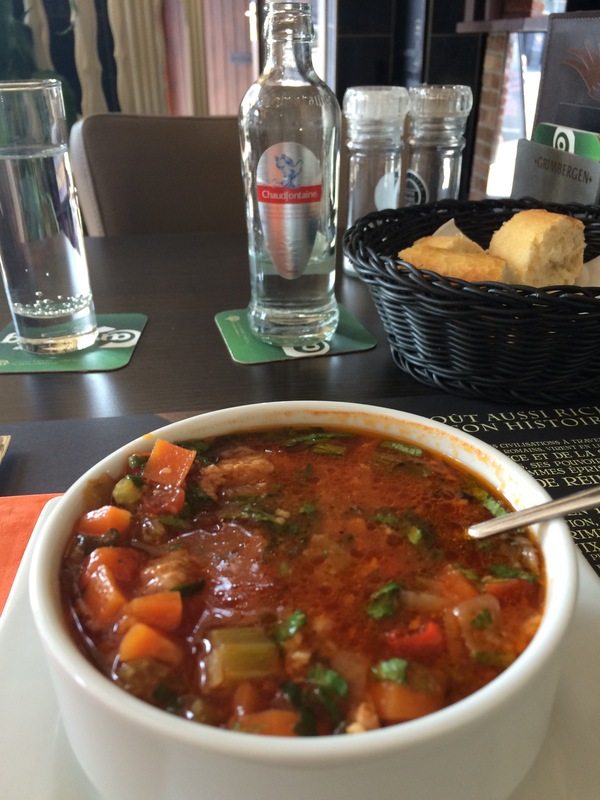 Though it’s not much appreciated by locals, says the restaurant owner. It’s that month of the year when the gates of the beautiful Chinagarten open again. Between April-November for 4 Chf everyone is welcome to step in this mesmerizing little park,where you completely forget about the outside world and for a while even about the fact that you are still in Switzerland. Located right next to Zürichsee,just a few steps from downtown, Chinagarten awaits it’s visitors with the most beautiful magnolia trees and unique Chinese pavilions. The garden is a gift from the Chinese partnertown ,Kunming and besides the buildings it contains a complex mixture of plants and water world. Pleasing to the eye,mind and soul – Chinagarten is the place to go on a sunny spring ( or summer or fall )day. The smell of the magnolia and the perfect harmony of the place is capable to produce magic. Sometimes I need to think a bit about where is exactly in my case what we call:home.Home is where I was born and raised and I have my family or where I live now with no relatives around? It doesn’t really matter which one is it in the end, certain is that for more than a year now my comfort zone, my settlement and my place close to my heart is Zürich. Zürich is rather small and peaceful, but in the same time has a great cosmopolitan and international spirit. In my vision is also the most beautiful city and it definitely is one of the cleanest and safest not only in Switzerland. Today was a sunny day…Zürich is wonderful in sunny days.Hiking up to Üetliberg took me around 40 minutes.Easy hike,fresh air,always the same breathtaking view,but every time blowing me away and making me fall in love again and again with this place. It’s hard to name someone who didn’t ever play with the thought of being in the famous American New York City nicknamed as The Big Apple.When it comes to the USA I wouldn’t say that I’m a huge fan,I always preferred Australia if we put the two of them in a balance,but I have to admit I became super excited in the moment I spontaneously booked my flight as a result of discovering a sale on swiss.com. We are on April 1st early afternoon landing at JFK and I’m slightly anxious of the custom procedures which follow,having unpleasant experiences two years ago in Canada.To my huge relieve the Mr Boarding Officer I’m kindly directed to by another employee,is surprisingly kind,chatty and in a great mood,even flirty I would say,so the whole procedure takes in total around 5 min and soon off I am on the AirTrain rapidly heading to the city. Luckily I have a recently discovered native New Yorker friend,Curtis,who meets me on the way and guides me to my hostel. For a stay on a budget HI NYC hostel is the perfect choice.I’ve been more than satisfied with the quality of service,staff,room and location.It’s 2 min walk from the subway stop where you take a direct train to downtown and in aprox 20 min you are right in Times Square. After an 8 h flight you might want to relax and rest,but the temptation of starting to explore the Big Apple in such a sunny day is winning and after quickly dropping my luggage at my new accommodation for the next few days,we are back on the train.We get off at the world famous Times Square and this spot becomes instantly my favorite and later on the most visited location too.Dominant skyscrapers all around,big crowd – though not as big as on a weekend – and just the best dynamic vibe.As stressful as it sounds and as it is for locals,you are on holiday and you don’t feel the pressure.At least I didn’t. Times Square can’t and won’t be missed for sure once you are in NYC as it’s by walking distance to many important points of the city such as Rockefeller center,where you need to go up to the top if you want to be blown away by the view of NYC from the 67th level. It worths also serving a delicious cocktail on the 48th level of Marriott Hotel,more precisely at the restaurant The View.Calm ambient,friendly waiters and great view.The restaurant slowly rotates,you might get dizzy only if you drink a few number of cocktails though. It’s just my first day and I managed to get to Grand Central too.That’s the main train station in NYC and it has indeed lots to offer besides trains to various locations.When there don’t forget to have a look at the ceiling and let yourself convinced to try how it works the whisper room.A good way to find out all about that and much more take a free walking tour offered by freetoursbyfoot.com.It’s hard to believe that you can get something besides air for free in NYC,but it’s true,all the walking tours offered by the above named company are free of charge.Well,you can pay as much as you like,but it’s optional.However,the quality of the tours is high and the guides are top. While you are still on the plane,close to landing at some point the Statue of Liberty becomes visible and that’s the moment when you realize that your whole visit to NYC would be missing something special if you couldn’t go close to it.A short ferry ride and wishes come true.The feeling of being in front of the probably most important piece of art,symbol of freedom can be described just with one word:special.I had that feeling once again when I visited the Canadian side of the Niagara Falls ( well,3 times there actually). Hopping back on the ferry and getting of at Ellis Island to visit the National Museum of Immigration.Even if you are not such a museum person ( I’m not ) if time lets you it is interestesting to take a look. Once back to South Ferry station hit the road by walking around.Plenty to see: such as The Bull right where Broadway starts,go on,go on and you hit Wall Street and wander between rich bankers and important companies in the financial district.If you can keep up with it and reach the end you have right in front of your eyes the Brooklyn Bridge.Maybe you need a rest …There are benches:take a seat,but still… all you see around:serious men in dark suits – financial district as I said. For a change of scenery let’s take a stroll in Central Park,New Yorks biggest park and the scene of many Hollywood movies.This place is absolutely fantastic! Of course I wasn’t able to check out even half of it cause it’s massive,but still I consider it’s a totally awesome place.You have all you need:runners,walkers,taxis,horse carriages,walking paths,lying areas,hills,lakes,stones,zoo,fountains and God knows what else. Another cool museum to visit and it’s just next Central Park ( if you exit on the correct gate ) is the Museum of Natural history.If you’ve seen the movie Night at the Museum you are familiar with what to expect from it:massive dinosaurs are from far the highlight. I happened to be in NYC for Easter and took the opportunity to take part in a funny event called Easter Bonnet Festival,where all kind of hilarious dressed people and also animals where happily walking up and down the luxurious Fifth Avenue. Besided that,on Easter Sunday I listened my spiritual calling and went to a Baptist church in order to see live a gospel service,which was quite cool – well at least the 30 min I’ve been there – and as the church was located in a neighborhood called Harlem,I visited that too and discovered a Hungarian pastry shop which unfortunately was closed otherwise I would have celebrated in Hungarian style.You probably think now: “Of course it was closed,after all it was Easter Sunday!” Wrong!Remember:we are in New York,the city which never sleeps.That applies also for Sundays and holidays: stores open and so on,so on.The Hungarian pastry shop employees must have been very happy,that was the only place I’ve seen closed on Easter Sunday! Five Guys (Times Square) has extraordinary fries to offer,at Big Nick’s I went for a soup,but saw them serving massive,appetizing burgers.In the matter of drinks and atmosphere I really liked a small bar near Times Square,called Beer Culture:nice bartenders,good atmosphere and big beer variety.In Brooklyn,more precisely in Williamsburg try Biblio bar and their cocktails:yummi!Near Grand Central there is a really cute bar,called Snafu and it’s fantastic.I had my last cocktail there before heading to the airport and I liked not only the cocktail and the service in general,but also the atmosphere. My trip to NYC was a great experience in many ways and the cherry on the top of the cake was watching a Broadway show.Now I know what they mean when saying:”There’s nothing like Broadway!” I can only agree.Combining culture with fun,music with dance,great talents with a wonderful teamwork results:Mamma Mia.For discounted prices try the ticket lottery or rush tickets and for as less as $32 the show goes on!Getting up at 7 am in order to get to the box office by 9 and try my chance was the right thing to do: I got the discounted tickets and made friends with nice people while waiting in the line,plus received tips for my trip to Sweden! New York City,it was nice to meet you!